After graduating from The University of Alabama with a concentration in Biology and Computing Technology & Applications, Walt began gaining tremendous experience in the healthcare communications industry. 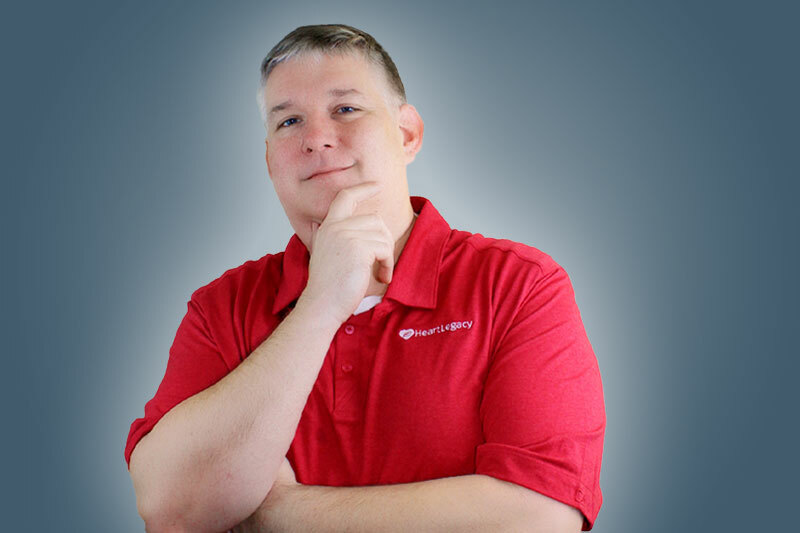 While achieving his MBA from the University of South Alabama, he worked with a large healthcare software organization; installing products and interfacing services alongside engineering development teams in a back-end environment. Later, Walt moved to customer facing role, selling software solutions directly to healthcare professionals. It was then that he realized he had the knowledge and passion to lead a software company that would make a difference in the lives of others. HeartLegacy was then founded on these basic fundamentals: To be morally sound, focused on family values, national in scope, and built to last for generations to come. When Walt isn’t at HeartLegacy’s headquarters, you might find him out on Mobile Bay fishing with friends and family. A fitness enthusiast, he also takes to the outdoors to get those BPMs up! Fran gained success in the healthcare IT and communications space as the co-founder of TeleVox software, one of the largest multi-location healthcare networks responsible for millions of healthcare communications each day, now an asset of West Corporation. Fran’s positive motivational approach, and focus on superlative customer service contributed greatly to their success. For Fran, family is where she spends most of her free time. Whether it’s planning family vacations, organizing parties for her large family of 9 siblings and their families, or spending time with her 90 year old father, time with family is considered time well spent. She also enjoys reading and jogging, and somehow manages to do both at the same time, while ALSO sending emails…something that mystifies the others at HeartLegacy! 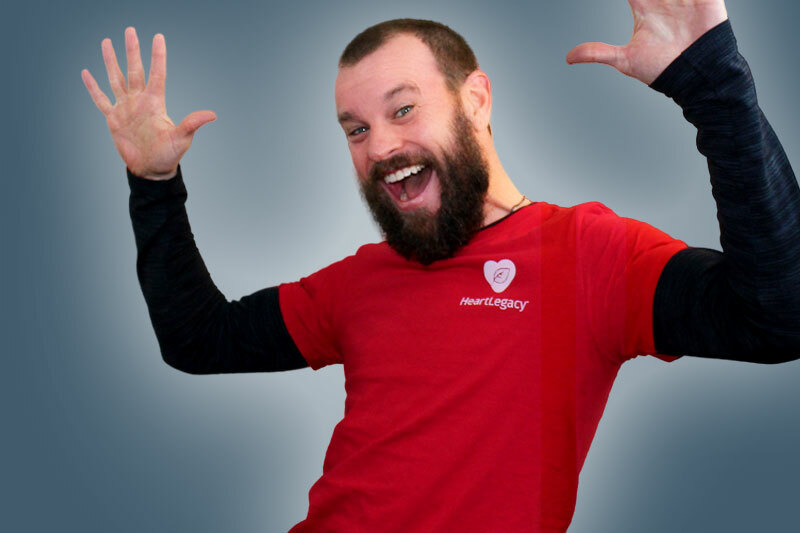 Jared Collins is HeartLegacy’s Vice President of Technology. Jared holds bachelor’s and master’s degrees in Computer Information Systems and Business Administration, respectively. He has over 15 years of experience in technology and software engineering. He’s spent his career in the healthcare and education industries. Jared has wide-ranging expertise in mobile apps, web, desktop, telephony, and notifications. At HeartLegacy, Jared will focus on further developing and enhancing the company’s end product. Outside of work, Jared regularly outwits anyone who dares to play him in chess. He’s also an advanced practitioner of the martial arts, so be wary of calling him a “tech geek”! Hillary is a master at listening and problem-solving. Among her many great traits, Hillary genuinely loves helping others. This is the secret recipe Hillary has used in her highly successful career as a sales executive and sales manager. For HeartLegacy, Hillary directs the sales team and manages her own territory on the West Coast. On most days, Hillary is visiting senior communities or collaborating with the HeartLegacy sales and marketing team. On other days, she’s on the tradeshow floor telling the HeartLegacy story. When she’s not working, Hillary enjoys the multitude of outdoor activities that beautiful Salt Lake City, Utah has to offer. 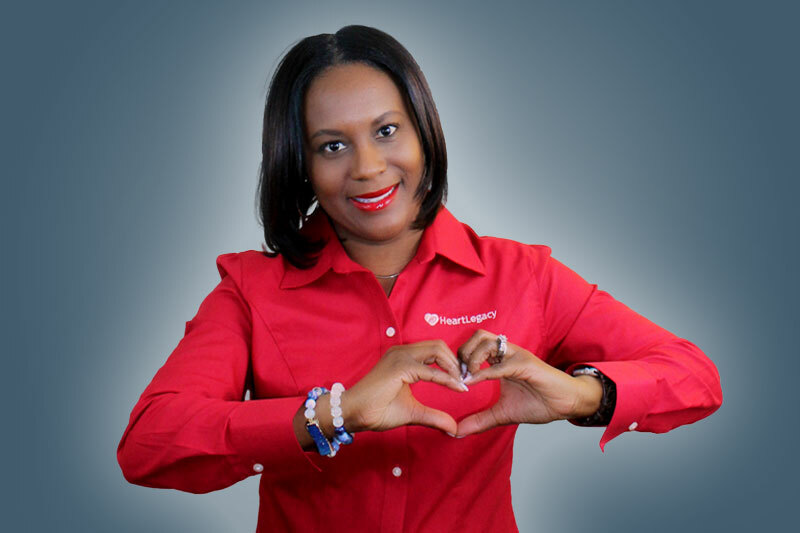 Erica joined HeartLegacy as a Family Engagement Specialist in 2018 to support the company’s growing customer base. She spent the previous eleven years of her career in the healthcare technology industry, connecting healthcare practices with solutions that enhanced the patient experience. Erica’s expertise in client engagement helps senior communities, residents, and families unlock the full power of the HeartLegacy solution. 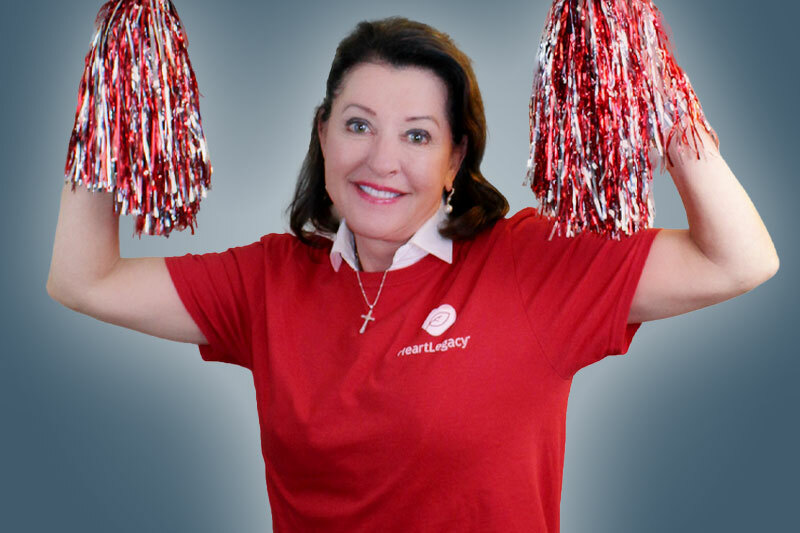 In her role at HeartLegacy, Erica provides daily support to customers, assists with QA protocols, and conducts on-site and online training sessions. Erica is a graduate of the University of South Alabama (“Go Jags!”) and enjoys spending time with her family. In her spare time, Erica loves to explore her creative side by designing jewelry. She also likes to travel and try new dining experiences. 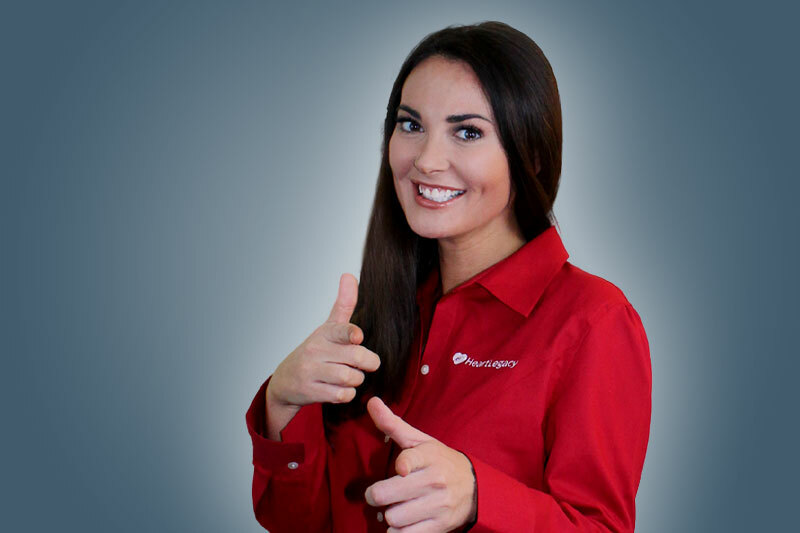 At HeartLegacy, Brie manages customer accounts, conducts trainings, and teaches customers how to make the most of their HeartLegacy solution. Brie’s positivity and personality makes her a natural fit for this role. 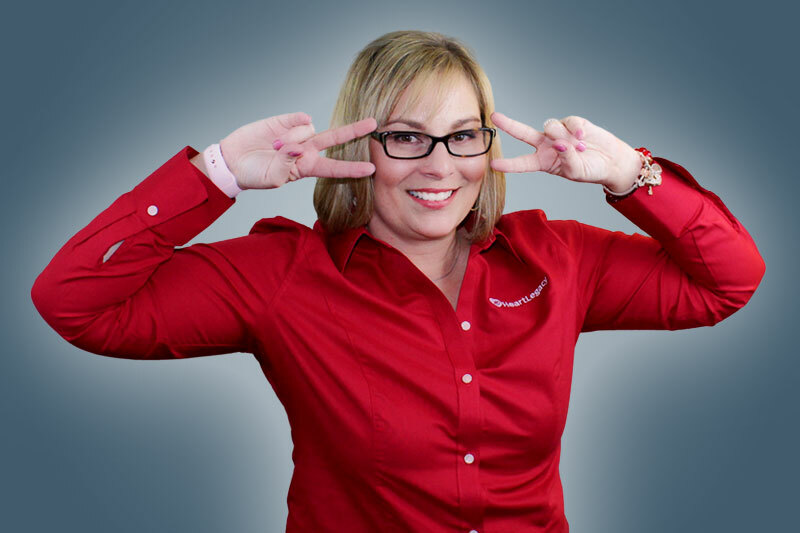 Brie comes to HeartLegacy after a successful tenure as a top performer and trainer at a large healthcare software corporation. She graduated from the University of South Alabama with a degree in Communications (emphasis in P.R.) and a minor in Psychology. Brie is also a licensed massage therapist. When she’s not working, she loves to learn about and practice new techniques like Chinese Cupping, Ashiatsu, and Reflexology. Charles joined HeartLegacy as a Family Engagement Specialist in 2018. He excels in many areas, two that stand out: one, his ability to analyze and solve complex problems; two, his commitment to building great relationships and delivering an exceptional customer experience. 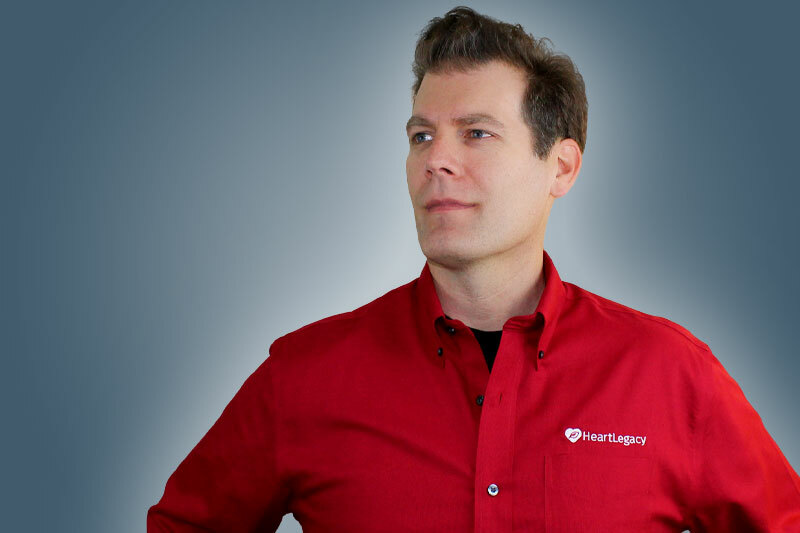 At HeartLegacy, Charles will focus on product implementations, training, and supporting customers. Prior to his role at HeartLegacy, Charles spent eighteen years in the Information Technology and Service sector of the healthcare industry. 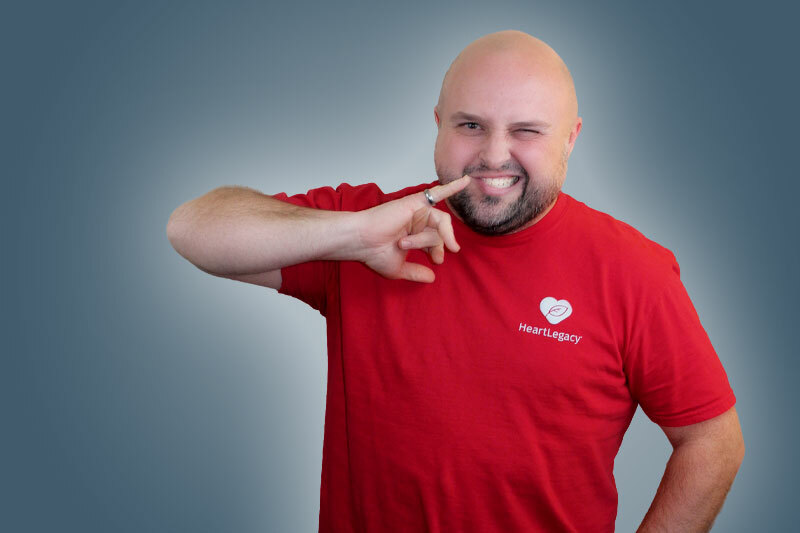 His technical and interpersonal skills make him a great asset to both HeartLegacy and the customers he serves. Outside of work, Charles is a busy guy! In service to his local community, he volunteers at the Ronald McDonald House and Volunteers of America. Charles is a committed husband and enjoys spending time with his grandchildren. When he gets some time to himself, Charles loves researching his family history, going on photography excursions, and immersing himself in YouTube and Photoshop. 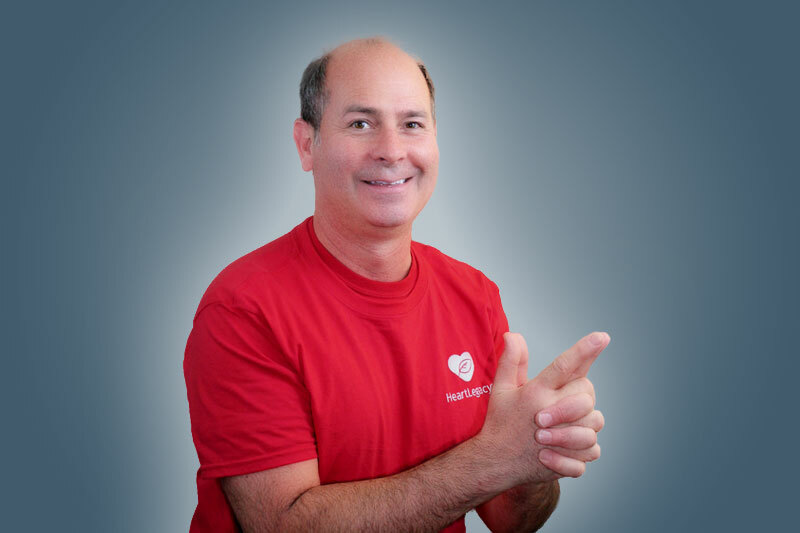 Bill Dodd joined HeartLegacy as the company’s Senior Developer. With a collection of certifications too numerous to list, Bill possesses an extensive knowledge of technologies, languages, and platforms. He’s spent his professional career in healthcare technology, most notably co-founding and selling a technology company in 2014. At HeartLegacy, among many development initiatives, Bill will utilize his expertise in Android to enhance the company’s customer- and family-facing mobile apps. Outside of work, Bill has a diverse set of interests from photography to jet skiing. He collects, repairs, and restores pinball machines. His house proudly features an impressive arcade of classic games, pinball machines, and a flight simulator. Greg Biggs is the Creative Director for HeartLegacy. He serves a multi-purpose role with the company, working directly with the marketing department, client operations, and the video editing team. Greg specializes in graphic design, branding, and multimedia. His career spans nearly 20 years in design, winning multiple awards along the way. With an industry background in technology and healthcare, Greg understands the needs of both the company and the customer. Outside of work, Greg is a busy guy! He loves spending time with his family, first and foremost. When he gets a free moment to himself, he immerses himself in playing and recording music—putting his guitar, bass, and drum skills to work! You’re also likely to find Greg skateboarding, surfing, wood working, or creating fine art. During his professional career, Reid has worked in a variety of roles in the healthcare technology industry. Most recently, he managed direct healthcare sales territories for multiple tech companies. Earlier in his career, Reid oversaw corporate messaging and marketing programs. 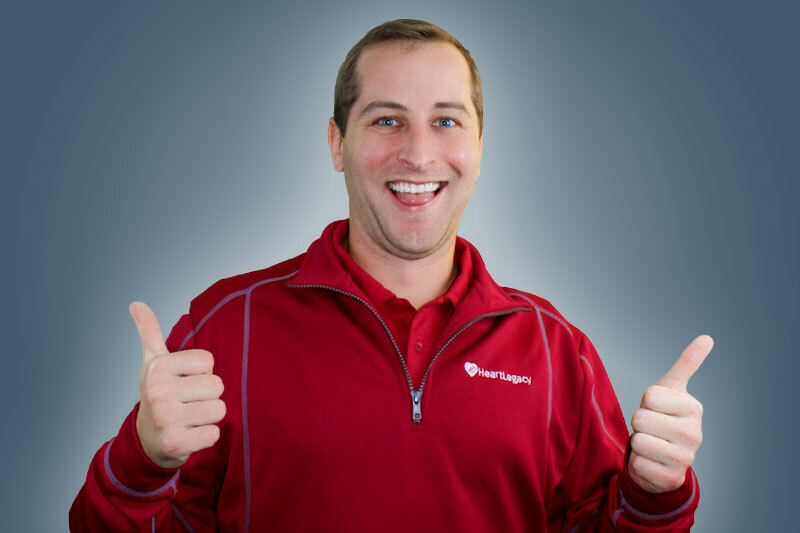 At HeartLegacy, Reid manages the corporate brand and supports the Marketing and Sales operations. You can usually find him sitting at his desk, listening to music, and attempting to understand Google Analytics. In his free time, Reid likes to read, write, and practice yoga. 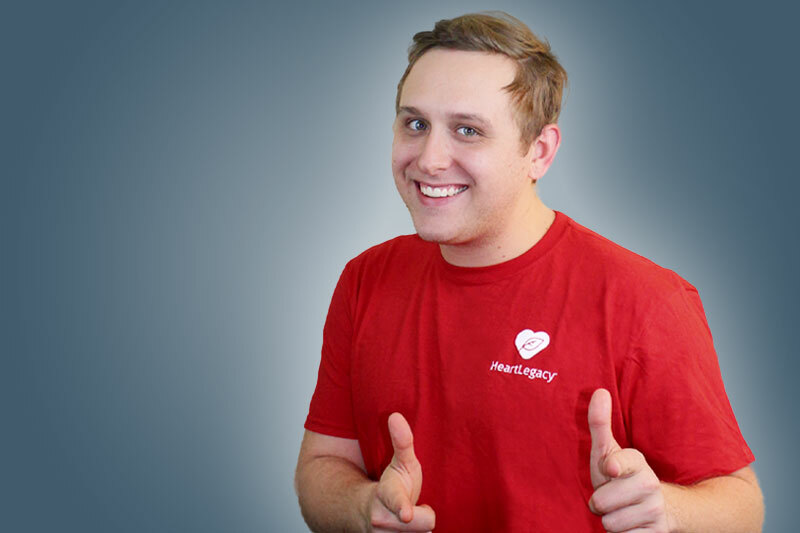 As HeartLegacy’s Digital Media Producer, Conner wields his video skills with precision and heart. Conner produces, edits, enhances, and organizes customer videos. He also manages HeartLegacy’s increasingly vast video library. It is no small feat and Conner handles it gracefully. 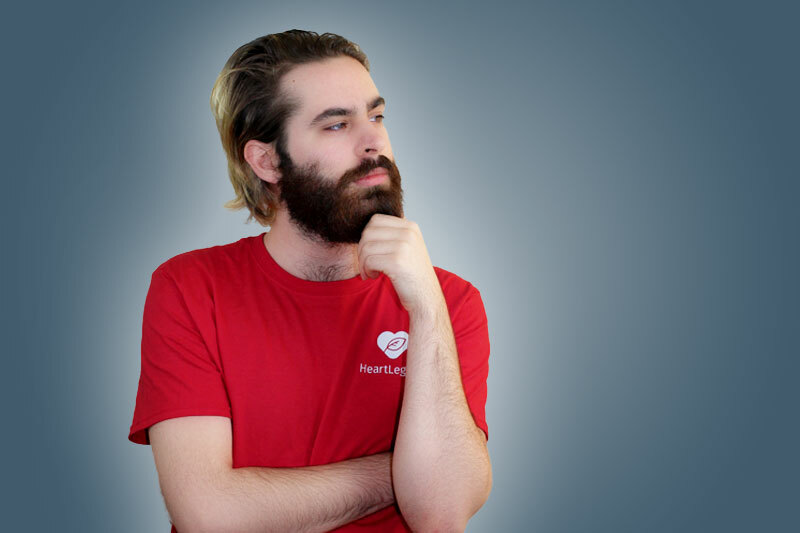 Conner’s background in live TV production, directing, and editing led him to his current role at HeartLegacy where you can find him wearing headphones and gripping an extra-large mug of coffee. When he’s not working, Conner is either playing with his kids, reading a book, or mastering the intricacies of YouTube. Conner lives in Mobile with his wife and two children. Drew graduated from the University of Alabama in 2016 with a degree in Telecommunication & Film, packed his bags soon thereafter, and relocated to Daphne, AL to join HeartLegacy as a Video Editor & Digital Media Designer. 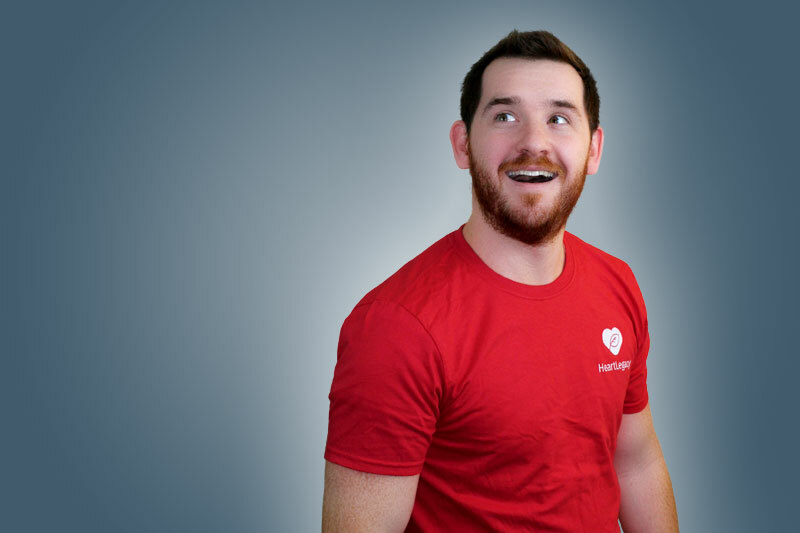 At HeartLegacy, Drew edits customer videos, contributes to the creative team, and helps manage HeartLegacy’s video assets. In addition to sporting a glorious beard, Drew is a seeker of new experiences. He travels, hikes, and explores the nuances of gastronomics. To satisfy his intellectual cravings, Drew collects jazz vinyl and studies history–particularly Civil War battlegrounds. And of course, as a creative, Drew loves to draw! Originally from Birmingham, Matthew moved to the coast to finish college in 2013, and decided to make Mobile his permanent home. After graduating with a Creative Writing degree in 2016, Matthew traveled as a freelance videographer throughout the United States and Europe, also working as a wedding photographer during his time at home. Matthew most enjoys spending time on the road, and has visited 45 of 50 US states, along with a sizable portion of our national parks. He’s also a bit of a nerd when it comes to all things mystery movies, science fiction, space travel, and, of course, cameras. 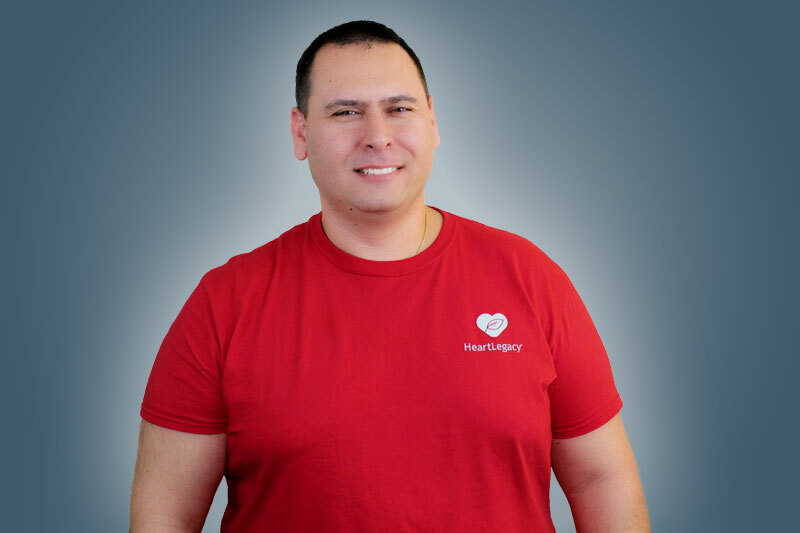 At HeartLegacy, David is the man behind the scenes making the whole machine run seamlessly. 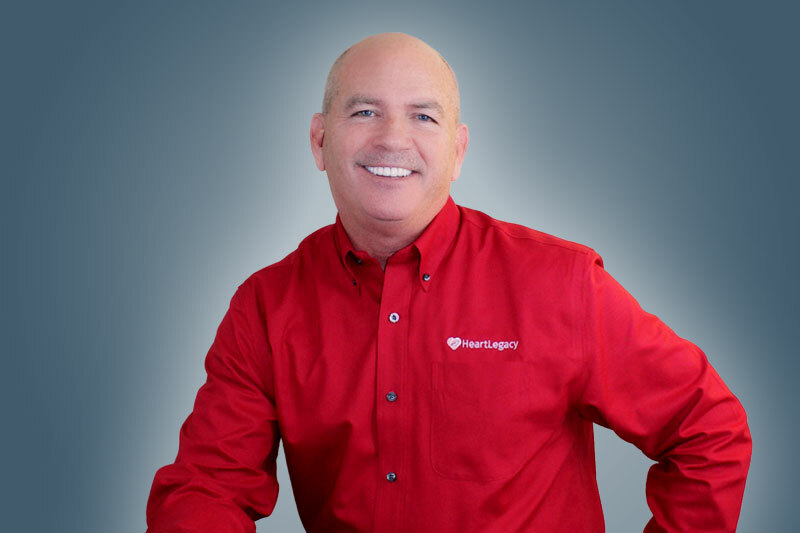 Whether it’s operations, tradeshow support, scheduling, purchasing, or corporate event planning, David plays an integral role in the business operations of HeartLegacy. For much of his professional career David has worked in healthcare technology, managing operations and overseeing administrative functions for multiple companies. David’s selfless approach sets a standard that his co-workers have followed for decades. When he’s not working, David is busy restoring his hundred year-old craftsman bungalow in the Leinkauf historic district and obsessing over his cats.